If there's one thing I enjoy about going to work is the fact that I can always play around with my looks. I can opt to dress up or down depending on my mood. And because I work in advertising, there isn't a very strict rule as to what I can wear but I always keep in mind to polish. I love the idea of layering jewelries like this crystal circle, druzy and chain necklace. We've always seen long necklaces layered in different lengths but these are different as they are rounder in shape and closer to the neck. 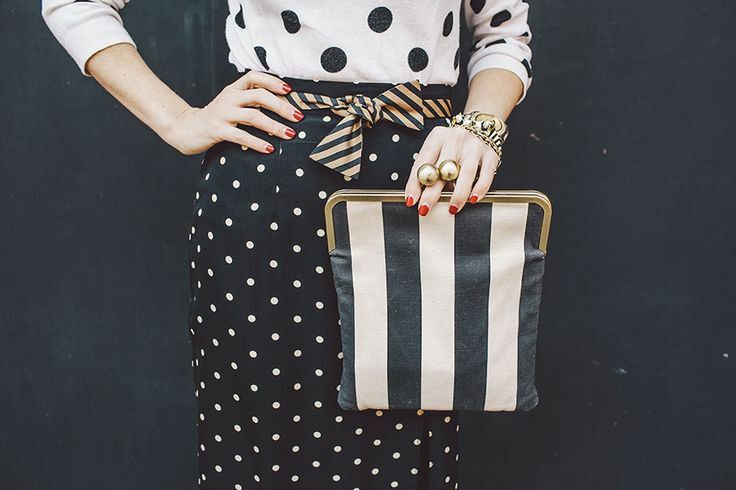 Mixing patterns is also a good way to mix up the look. And why not pair with some gold detailed clutch and red nail polish? It's just adds a nice touch without overdoing it. Leopards and golds anyone? I couldn't say no to that and I'm loving this animal coat and watch from Marc Jacobs. And that doesn't stop there. How about adding this gold rose pave bracelet as well? This has been an on going trend and I don't think it will die anytime soon.